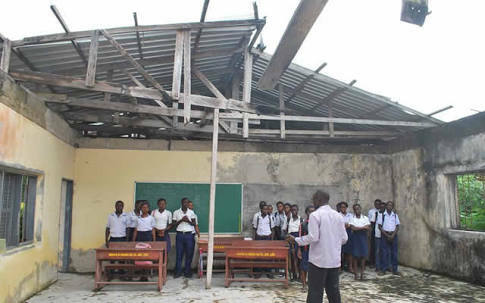 National Association of Gbaramatu Students (NAGS) has lamented the deteriorating state of the education system in the kingdom. In a press statement signed by the president of the association, Comrade Freeborn Ebimaye Abraye, NAGS stated that “the educational system in Gbaramatu kingdom is gradually going into extinction. “Gbaramatu kingdom that happens to be one of the major economic backbone of Delta state, is currently nothing to write home about regarding education. Going further, NAGS stressed that “the educational system of the kingdom has dropped to the point where schools, both primary and secondary, can no longer boast of having up to five government teachers each. “It has gotten to the point where headmasters who are supposed to be carrying out administrative functions are becoming regular class room teachers. This lack of teachers has also added unbearable pressure on the very few teachers who are in the schools. Thereby forcing each teacher to teach more than four subjects in a day. Which in most cases are not even their area of specialization. “It is this same lack of teachers that necessitated the creation of a voluntary teaching initiative by the National Association of Gbaramatu Students which is tagged ‘NAGS GRASSROOT EDUCATION SUPPORT INITIATIVE’. NAGS disclosed that “the students body, haven completed the first phase of the volunteers teaching program throughout last term, is once again set to deploy volunteers to the schools to continue the teaching program. It called on the Delta State government to see the schools in Gbaramatu kingdom as one of its key priorities by deploying teachers to the schools in the kingdom.